In Dashavatars, Kurma (कूर्म; ) was the second Avatar of Vishnu, succeeding Matsya and preceding Varaha. 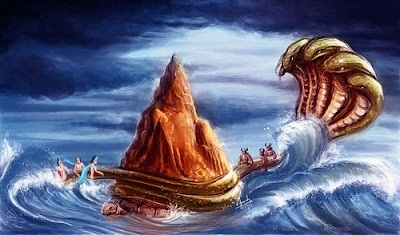 Like Matsya this incarnation also occurred in Satya yuga. Durvasa, The Sage, once gave a garland to Indra, the king of Gods. Indra placed the garland around his elephant, but the animal trampled it, insulting the sage. 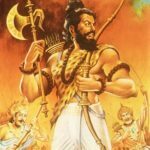 Durvasa then cursed the Gods to lose their immortality, strength, and all the divine powers. After losing the kingdom of heaven, and every thing they once had and enjoyed, they approached Vishnu for help. Vishnu advised that they had to drink the nectar of immortality (Amrit) to regain their glory. Now to obtain the nectar of immortality, they needed to churn the ocean of milk, a body of water so large they needed Mount Mandara as the churning staff, and the serpent Vasuki as the churning rope. The Devas were not strong enough to churn on their own, and declared peace with their foes, the Asuras, to enlist their help. Once the pole was balanced, it was tied to the gigantic snake, Vasuki, and the gods and demons started pulling it from either side. As the churning began and the massive waves whirled, from the depths of the ocean also came out the ‘Halahal’ Or ‘Kalkoot’ visha(poison). When the poison was taken out, it started heating up the cosmos considerably. Such was its heat that people started running in dread, animals started dying and plants started withering. The “Visha” had no taker hence Shiva came to everyone’s rescue and he drank the Visha. But, he did not swallow it. He kept the poison in his throat. 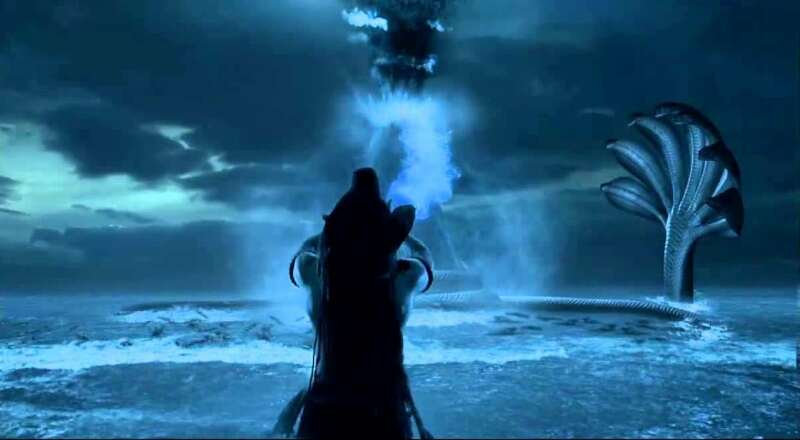 Since then, Shiva’s throat became blue, and he came to be known as Neelkantha or the blue-throated one. This is the reason why shiva is always high on marijuana, being a God. The churning continued and poured forth a number of gifts and treasures. They included Kamdhenu, the wish-fulfilling cow; the goddess of wealth, Laxmi; the wish-fulfilling tree, Kalpavriksha; and finally, came Dhanvantari carrying the pot of amrita and a book of medicine called Ayurveda. Once the amrita was out, the demons forcefully took it away. Two demons, Rahu and Ketu, disguised themselves as gods and drank the amrita. The sun and moon gods recognised it to be a trick and complained to Vishnu, who in turn, severed their heads with his Sudarshan Chakra. As the divine nectar did not get time to reach below the throat, the heads remained immortal, but the body below died. This helps Rahu and Ketu take revenge on the Sun and Moon by devouring them every year during solar and lunar eclipse. A great war between the gods and demons followed. Finally, Vishnu disguised as the enchanting Mohini tricked the demons and recovered the nectar. the tortoise. The reptiles appeared almost 385 million years ago on earth. As mentioned above, Kurma Avatar is in form of a tortoise. 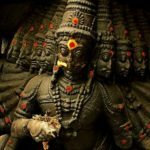 There are three temples dedicated to this incarnation of Vishnu in India, Kurmai of Chittoor District of Andhra Pradesh, Sri Kurmam in Andhra Pradesh, and Gavirangapur in the Chitradurg District of Karnataka. 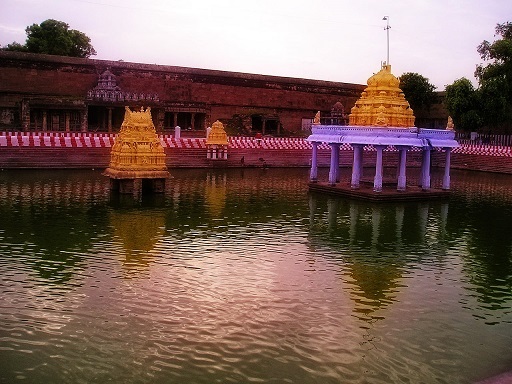 The name of the village Kurmai mentioned above originated as there is historical temple of Kurma Varadarajaswamy(Kurmavatar of Lord Vishnu) god in this village. The temple located in srikurmam in srikakulam district, andhra pradesh is also the avatara of kurma.